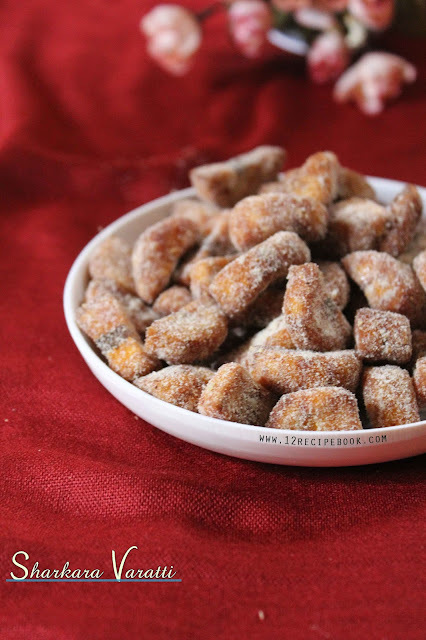 Sharkara Varatti is a crispy jaggery coated raw banana chips. It is a must served snack on the Onam sadhya menu. You can make them bulk in quantity and store for long days. Try this easy sweet at home and enjoy the crispy bites. Peel the skin of raw bananas and chop them in to half inch thick pieces. Drain in to colander and keep aside. Heat a pan with grated jaggery and 1 tbsp of water. Mix well and cook until thickens and slightly stick on your hands (one string consistency). 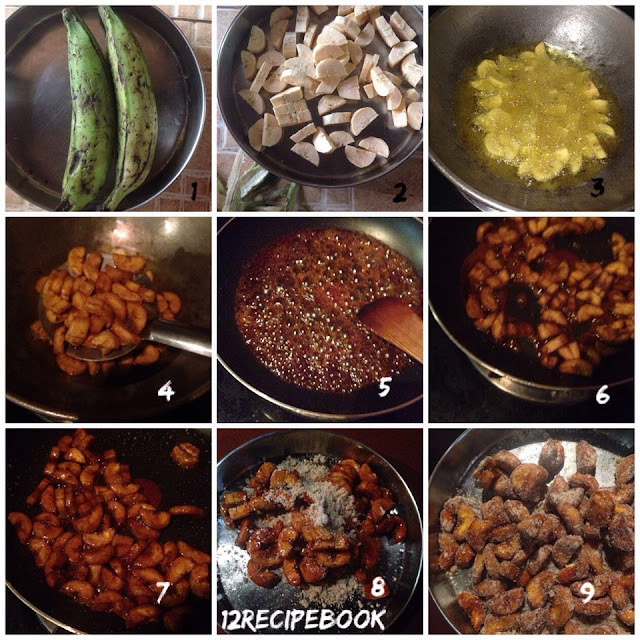 Then add the fried banana chips and coat well until dry (stir for few minutes). 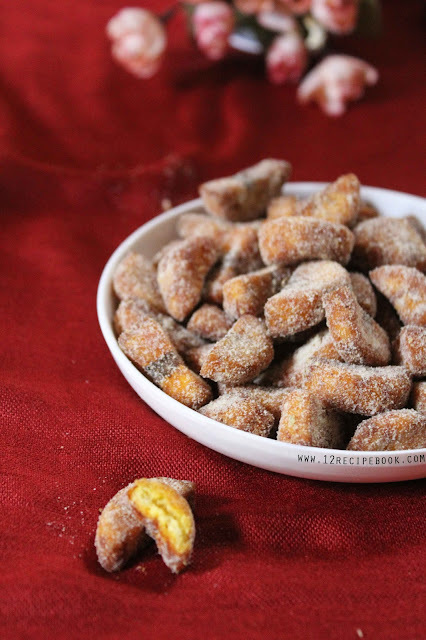 Switch off the flame Then sprinkle powdered sugar, cumin powder, ginger powder, salt and cardamom powder. Mix well and make sure that all of the chips evenly coated and separates. Store them in an air-tight container after completely cools down.